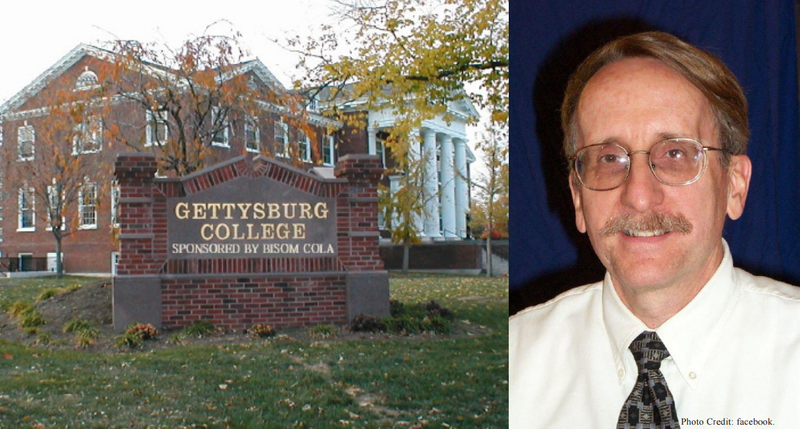 Gettysburg College to be renamed after deal with soda corporation | The Gettysburgian. The recent financial gifts of Bisom Cola Company have purchased a few small changes for Gettysburg College, the most prominent being the requirement that the college follow its name with “Sponsored by Bisom Cola” on all official documents. CEO Arnold Levinthall is pictured on the right. Following the 2014-2015 academic year, Gettysburg College as students know it will cease to exist — at least under the name “Gettysburg College.” After weeks of negotiations with the new, but rapidly expanding Bisom Cola Company, the college finally settled on a deal that would alter the college’s name in exchange for a number of financial gifts from the Bisom Cola Company. Levinthall continued to explain his thoughts behind the unorthodox marketing strategy. In addition to paying a sum of over $95,000 to the college, Bisom Cola has also offered students a 10% discount on all Bisom Cola products, so long as they are purchased on a weekday at a time between 9 a.m. and 11 a.m. Given Gettysburg College students’ recent purchasing trends, such a discount could amount to dozens of dollars over the next few years, according to Levinthall. Bisom Cola, founded by Levinthall in 2013, has been quickly making a name for itself in the soda industry, taking the places of Pepsi or Coca Cola as the drink-of-choice in six different states in America. Despite the soda company’s immense financial gifts, some students have expressed their dissatisfaction with the trade-off. The Bisom Company has received many similar complaints from students recently, but CEO Arnold Levinthall commented that he is sure that students are overreacting. The change is set to take place at the beginning of the 2015-2016 academic year. With the new money acquired from the transaction, the college plans to construct various advertisements and memorials in honor of Bisom Cola. All drinks in the dining halls will be replaced with Bisom Cola brand drinks, such as “Bisom Cola Milk Soda” and “Bisom Cola Carbonated, Caffeinated Cola Water.” Gettysburg College is not the first school to sell its name to a prominent donor, however. In 2012, Dickinson College was famously purchased by North Korean leader Kim Jong-un for the price of ₩30 trillion North Korean wons, which, in U.S. dollars, amounts to approximately $43.